برنامج شهير جدا للهواتف يقوم بعمل فيديو رعب بالشكل الذى تريده..
يتوفر على المتجر او ستور ابل..
Unleash the Demons in all of us! • Demon Cam #1 Entertainment app in 5 countries! • Over 1000 ★★★★★ Ratings! Demon Cam™ allows you to record a personalized VIDEO of anyone and transform them into a shocking Demon! Send a fake video greeting and surprise your Friends with this powerful new video app! • Ultra-fast results, ready in 10-15 seconds! • Choose from 7 unique characters! 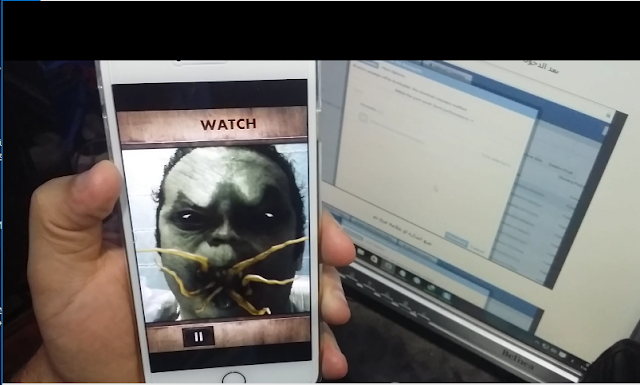 Film a personalized video, Set Track Points, and choose a Demon! We answer all support emails! Please go to DemonCam.com for any support and tips!